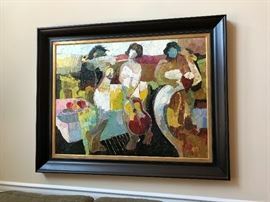 Large Collection of Signed Art, Like New Furniture, Callaway golf clubs, and more in Mabelton! 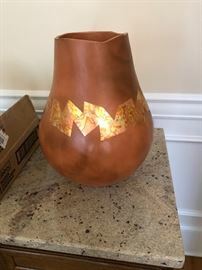 AddressThe address for this sale in Mableton, GA 30126 will be available after 9:00am on Thursday, April 25th, 2019. Thank you for shopping with Holly Elrod Estate Sales, LLC! We are committed to giving both client and customers a positive experience. Cash and credit/debit cards accepted, we collect sales tax on all purchases, and credit/debit card purchases will be an additional 3%. All sales are final, no returns or exchanges. Please note items are sold as is and where they are, we cannot assist with moving or loading. Please plan accordingly if you are purchasing large items. 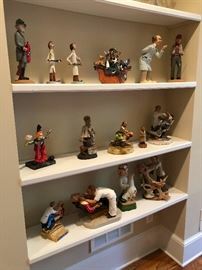 Finally, all purchased items must be removed by the purchaser before we close on the final day (unless other arrangements have been coordinated with Holly Elrod Estate Sales, LLC). 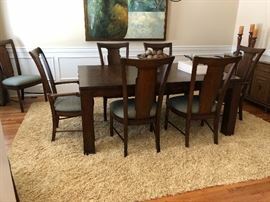 Beautiful dining room table and chairs. Special finish on the table to prevent scratching and damage. Like new condition. 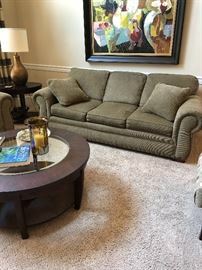 Matching sofa and loveseat. 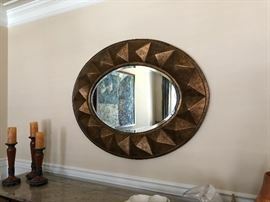 Great neutral color and looks brand new. 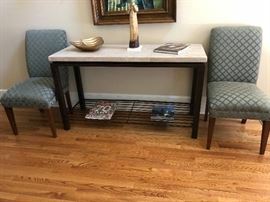 Decorator quality foyer table with matching custom upholstery side chairs. 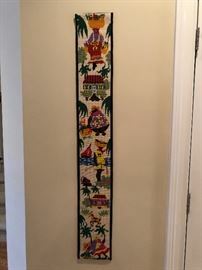 Hand made wall tapestry signed by the artist. 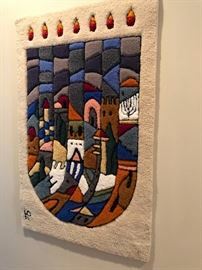 Wall tapestry menorah signed by artist and brought back from Israel . Ron Lee signed clown figure. Beautiful needlepoint winter scene picture. 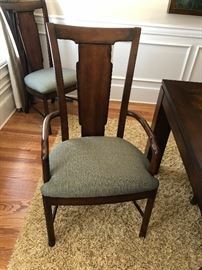 Very nice side chair with ottoman. Matching pair of end tables modern/vintage design. Original pen on paper artist signed piece. Assorted men's clothes including brand name golf attire. Eucalyptus Stoneware breadbasket, oven to table piece.